Earlier this year both Aorus (Gigabyte) and Zotac showed off backpack PCs. They were built off existing designs, repackaged in backpacks, and touted to set your VR experiences free from mains cabling. The Aorus X7 DT Virtual Reality Mobile Platform was essentially one of the Aorus gaming laptops with specially made backpack straps (see end of linked video). The Zotac Mobile VR solution was based upon its popular ZBOX mini PCs with a battery and a backpack. 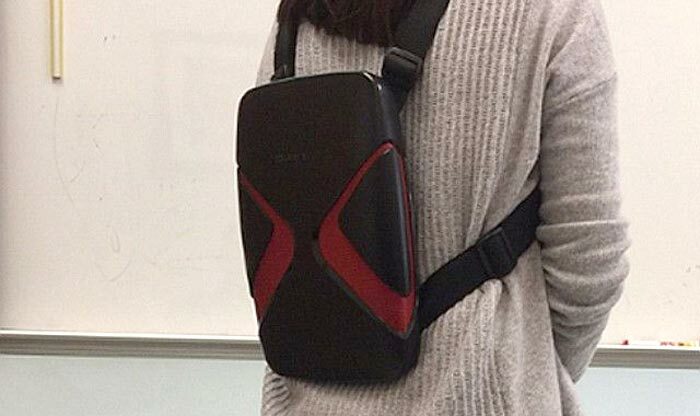 Now HP and MSI have teased rival backpack PCs. HP's backpack VR computer is to be part of its recently expanded Omen gaming range. A report published by The Verge states that inside this PC are key performance components including; an Intel Core i5 or i7 processor, up to 32GB of memory, and a dedicated graphics card (unknown model). Interestingly the batteries for the CPU and GPU are said to be separate. A smaller battery built-into the device allows you to hot-swap the other batteries without interrupting your activities. Considering the touted battery life, of just one hour, that's useful. The custom design is a lozenge shaped device that weighs less than 10 pounds (4.5Kg). It attached to the owner via a waist belt and shoulder straps. 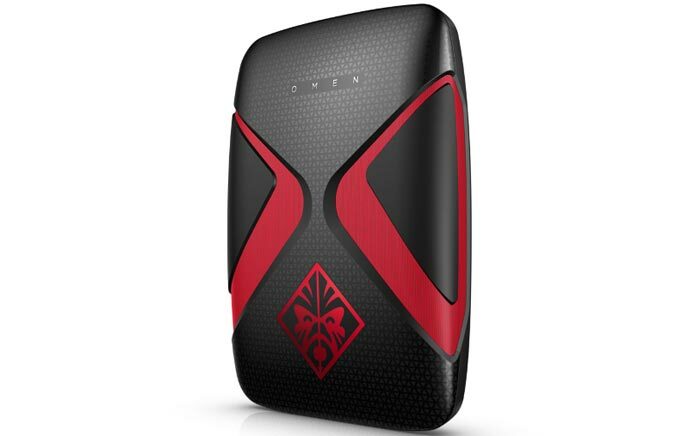 Rather better than a laptop or mini-PC in a backpack, the Omen X PC Pack can vent any hot air without hindrance. You can see the provided essential I/O ports in the picture above. HP supplies this device with a wireless display, mouse, and keyboard as part of the package. MSI hasn't revealed that much about its Backpack PC but we should hear a lot more about it later this week when Computex kicks into gear. The key performance components of a "high-end Intel Core i7 processor and Nvidia extreme level GTX980 graphics card," are promised. Thus its likely to suffer the same battery issues as the HP solution, above. 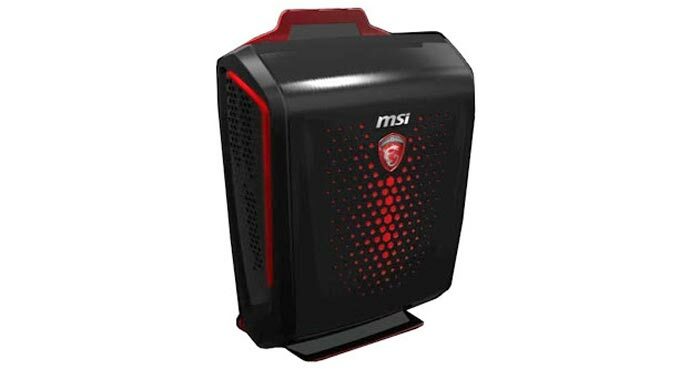 It will be interesting to see how MSI address the power vs portability issue for a PC that promises "greater mobility and freedom for VR gaming". 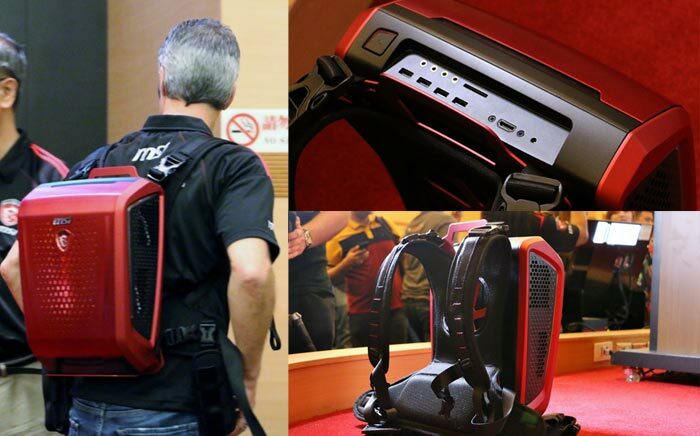 Update: Lowyat reveals that the MSI Backpack PC's CPU and GPU can be upgraded. It weighs 4.5Kg and is equipped with a battery rated for up to 90 minutes of VR gaming. I hope we get a backpack “case”, I'd love to build one of these.